Toward the southern end of Belize, you’ll find a 17-mile-long peninsula that has become a center of expat activity and tourism in recent years. Developments and homes can be found up and down its length, as can beautiful beaches and views of the blue Caribbean. But Placencia Village, the walkable community at the peninsula’s far southern tip, is where Paul Petit and his wife Gail decided to settle. There they have quick access to the beach, restaurants, shops, and more. “We like Placencia. With some of the islands you get ‘rock fever.’ For us, it’s perfect,” says Paul. Living in the village, they can easily get to their volunteer activities. They often help out at the local school, which is made up of expat and local kids. Paul is also involved in teaching local kids to sail. Gail is busy with social work. The two had considered the island of St. Kitts, as Paul is a fan of the strong Caribbean culture. But Belize won out because of the diversity, says Paul, with the ocean, mountains, and barrier reef providing plenty of things to do. 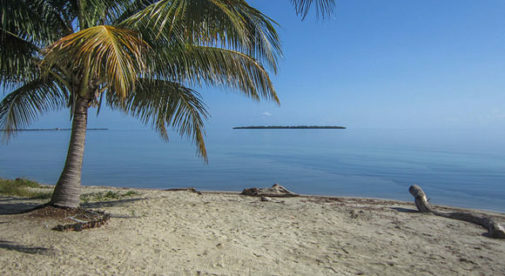 Best known for it’s beaches, Caribbean Belize also offers a money-saving retiree program. Since they often head back to Canada to visit grandchildren, the couple decided that the country’s retiree program, the Qualified Retired Persons program, gave them the most flexibility and saved them money. The program, run by the Belizean Tourism Board, is easy to qualify for. Aside from submitting paperwork like birth certificates, marriage license, and a clean criminal record, the most important requirements are that you be 45 or older and have an income of at least $2,000 per month from a pension, Social Security, or some other stable source that is deposited in a bank in Belize. The Belizean Tourism Board has also been known to accept applications from those who deposit $24,000 from a savings account into a Belizean bank annually or who have a monthly income of $2,000 or more from retirement investment accounts. Paul and Gail had some expensive must-haves they wanted to bring with them to Belize, and the program helped with that. You can bring in a container of household goods, a car (less than three years old), a light aircraft, or a boat tax-free. Based on an estimated tax rate of 50% on his $30,000 car, and with about the same savings on the boat, Paul estimates he saved a bundle by being able to import duty-free. And the process was a smooth one. “They’ve got one or two key people here. It’s fairly easy. We didn’t have any problems,” says Paul.